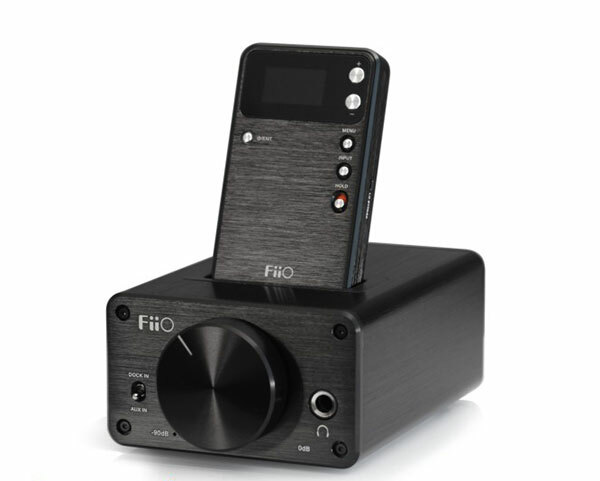 Ah FiiO – where would we be without budget hi-fi’s answer to Apple eh? So small, so neat so well put together and for nickles and dimes when you consider their performance to price ratio. I don’t know a soul who has a bad word to say for this company and the products they churn out. Sure we could want more out of this and that unit but then there is that price that just rids the body of stress and tension and gives us a pleasant nights sleep with our favorite toy beside our bed for company. That’s not to say FiiO churn out the E’s and D’s and move on without listening to the feedback and in the E09K we have a perfect example of what can be done with a good feedback system so well done James and the team for what is essentially a reworked E9 incorporating most of the comments over the last year or so on what could make the E9 a touch better, more relevant and more system like in it’s approach. 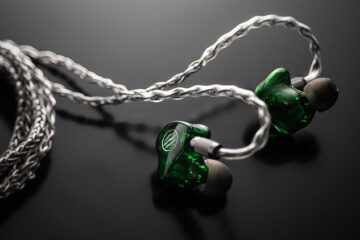 To all extents and purposes the E09K sounds exactly the same as the original FiiO E9 so I wont actually focus much on what that means other than to point you to our older review of the E9 with the E7 and the E17 reviews to get an idea at how much power the E09K carries, the tonality and how well it punches above it’s price point. Functionality and system adaptability in a nutshell. Previously the E9 for me was really a standalone amp with the E7 DAC/AMP component for connectivity to your digital media and some single jack outputs for line and pre-output. It was very handy but lacked a little conviction in terms of how the E9 could realize it’s potential for me. On the front the original E9 had two jack inputs – a 3.5mm and a quarter jack. Now from what I gather the mini-jack had internal circuitry that loaded the impedance by 33ohms which to be honest was quite high and some observers have suggested this brought changes in some headphones coloration that was perhaps not intended. I didn’t personally notice that to be honest but then I rarely used the 3.5mm jack preferring to use the quarter jack 99% of the time. The E9 also accepted the E7 and the E17 as their DAC modules and that is also a key change to the new E09K which we will talk about shortly. 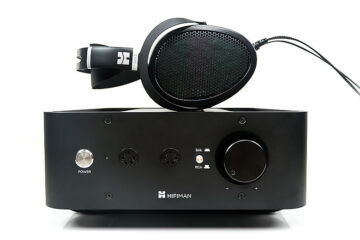 Both the E9 and E09K are essentially the same form factor with the exception of the input and output changes. For the E09K in comes a dedicated set of RCA R/L for the line in and out and pre-amp outputs. This is a welcome change. I remember one of our forum members buying an early unit and immediately went about modding for RCA’s. This gets rid of the need of modding thankfully allowing you to enjoy the full benefits of regular RCA jacks without a hammer and solder gun. RCA as stock is going to simplify your connections to the rest of your system if you intend to use this as a system component which by now I am sure you will be thinking the same as me and having a go hooking up some tube amps. It works a treat also on my regular amps on the pre-out. The RCA sockets are also gold plated for better contacts than the previous silver 3.5mm jack outputs. I personally hated the 3.5mm input jack of the E9 at the front, it just felt too rubbery with too much give when inserting anything. It also couldn’t cope with the new breed of 3.5mm jacks with voicing capability often suffering from crosstalk and interference without pulling out one ring or getting an adapter such as the new one you get with the Urbanears Zinken headphone. 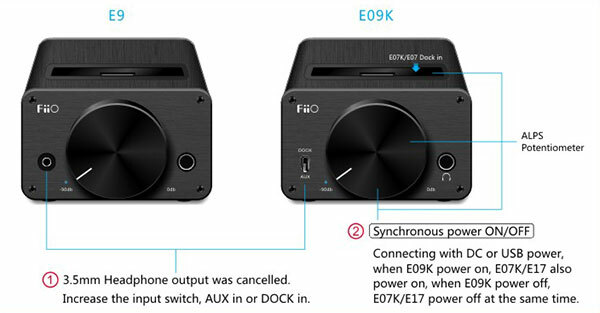 On the new E09K the 3.5mm jack has been done away and only the quarter jack has been retained and instead we have a single up/down switch for auxiliary and dock-in connectivity to prevent dock input being cancelled out when aux input is plugged in. Outside of that they are still using the same good quality Alps Potentiometer for volume control and the TI OPA2134+TPA6120 opamp combo hence the sonic qualities are virtually unchanged. One important change to this system which might slow you down with your wallet is the fact the E09K cannot use the E7 as it’s DAC component. You can only use the E17 which to be honest is a far superior upgrade to the older E7. But for those with an existing E7 and have no intention of forking out for an E17 then stick with the E9 as the E09K is not compatible. With the E17 in tow the E09K has more one more feature up it’s sleeve with the automatic shut down and power up of the E17 when you flick the power switch of the E09K which I believe was a popular mention on most forums in terms of wants for any revisions. Would I buy this? If I have the E17 then in short yes. Is it a relevant upgrade to the E9? That is a more difficult question as it really depends on how you wish to use it. If you have an E9 and E7 stick with that and use it to your hearts content but do note the E9 is not being made anymore so if you want to get a new one then it’s while stocks last basically. If you have an E17 and looking for an amp partner then the E09K is the perfect partner and fits nicely into a wider system if that is your bag also. It is still competitively priced in most markets with little or no swing from the original SRP of the E9 so that ain’t a bad thing either.